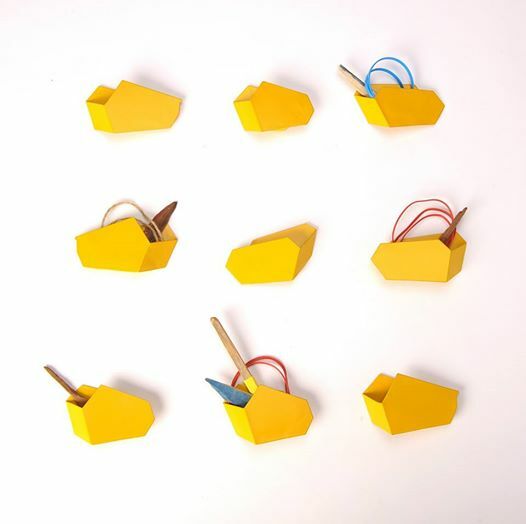 Jaki Coffey is a Dublin based designer / maker. Jaki recently graduated with a first class honours from the National College of Art and Design, Dublin, in the Bachelor of Design in Craft Design (Metal and Jewellery). Her work comprises of narratives translated into the playful objects and jewellery. She achieves her intentions with attentive design and careful consideration of materials – which range from precious metals to found objects. Her pieces are collectable objects which translate to wearables.